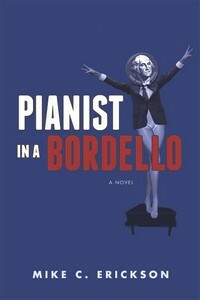 "I don't ever bandy around the words "tour de force," but Pianist in a Bordello knocked my socks off. Yes, I too, was reminded of Catch-22 by its glib tone and pacing. I also felt a little Hunter S. Thompson. Maybe some John Kennedy Toole... Every once in a while, I come across someone who is simply outstanding. Bravo, Mr. Erickson."